A still from Bud Light’s Super Bowl spot. MillerCoors is suing Anheuser-Busch, alleging that the latter misguided consumers about the makeup of MillerCoors’ products with its recent campaign in the Big Game. 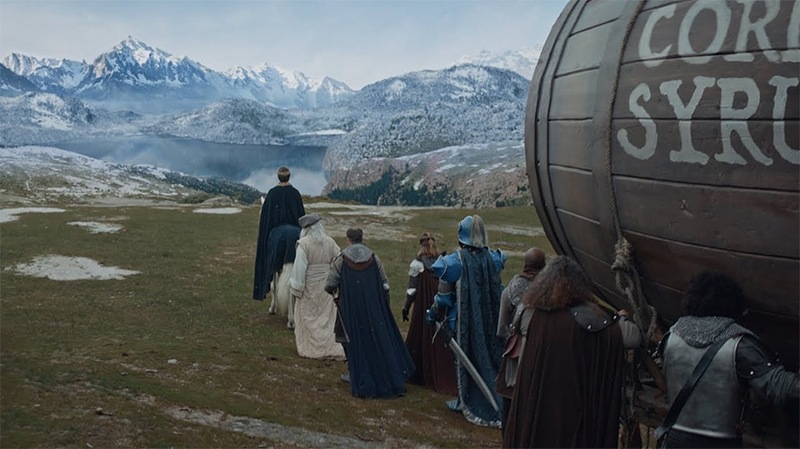 Set in the Bud Light “Dilly Dilly” universe, one of Anheuser-Busch’s Super Bowl ads this year featured the Bud Knight arriving at the Miller Lite and Coors castles with a massive barrel of corn syrup, which he claimed had been mistakenly delivered to the Bud Light castle. The Bud Knight and the rest of his medieval crew then venture to their competitors’s castles, who both confirm that yes, they brew their respective beers with corn syrup. Now, MillerCoors is taking more serious measures to fight Bud Light’s claims. Dubbing the spot “false and misleading,” it filed a lawsuit in the United States District Court for the Western District of Wisconsin, asking for an injunction to keep Anheuser-Busch from airing the ad again. Though MillerCoors’s beers are indeed brewed with corn syrup—a fact the company confirmed in the aforementioned New York Times ad—the yeast used in the fermentation breaks down the corn syrup so that none actually ends up in the final product. Bud Light is taking the lawsuit in stride and not backing down from its corn syrup-filled campaign.